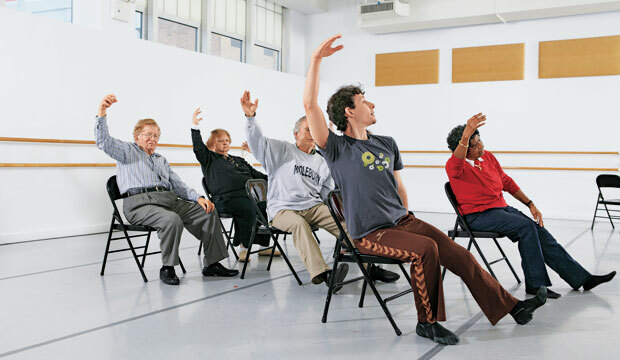 Help for Parkinson's patients from an unlikely corner: the Mark Morris Dance Group. RHYTHMIC ENTRAINMENT—the neurological capacity to synchronize with a beat—may offer therapeutic applications for Parkinson’s disease. The Mark Morris Dance Group is one of several groups using a music-based movement program to assist people with the disease. Its work, begun in 2001, has shown that one or two 75-minute classes per week may help patients address the challenges of gait, rigidity and facial expression. Still uncertain are the hows and whys; one study suggests that music can help patients relearn how to perform basic rhythmic movements, such as walking without shuffling. The Mark Morris program has gained traction worldwide, as has associated research.